Tomorrow, the Winter Guard will be participating in the WGASC championships @ Edison High School in Huntington Beach. They are performing in the 2nd round of the AAA Division and are scheduled to perform at 10:53am. Please come out at support your Guard! 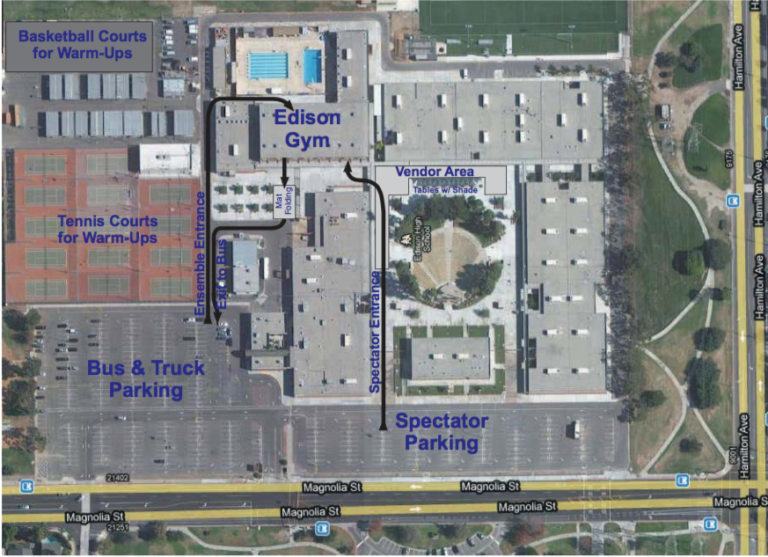 Map of the Edison HS campus.